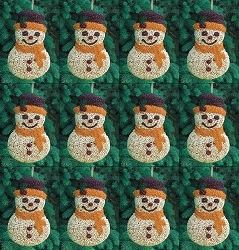 All natural ingredients. 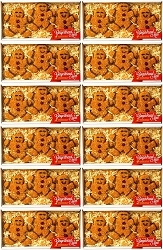 No fillers and no chemical preservatives! 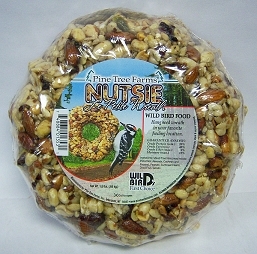 Packed with the finest seeds and nuts to attract a wide variety of wild birds to your yard! 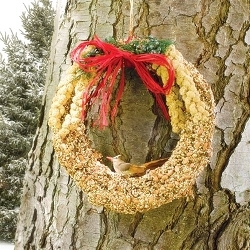 Ready-to-hang Le Petit Mini Bird Seed Wreath feeds a variety of birds without the maintenance of a feeder. No cleaning, no filling. 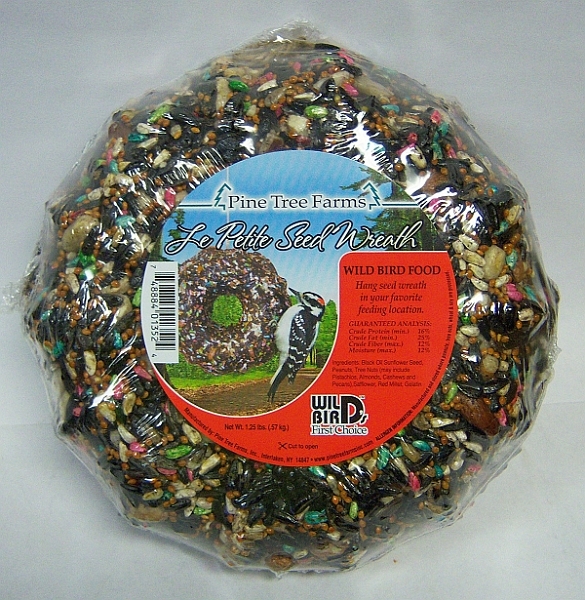 Textured surface gives birds something to cling to as they feed. 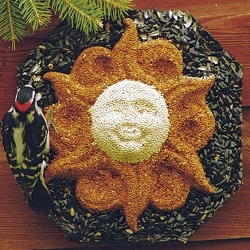 Wreath shaped cake includes black oil sunflower, peanuts, colored safflower, and red millet to attract a variety of birds. 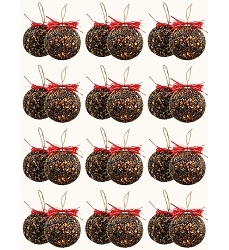 Great energy source for year-round feeding. Packaged to reserve freshness. 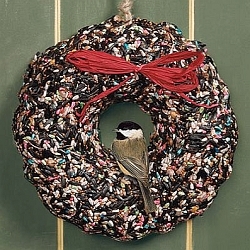 Each Mini Wreath weighs 1.25 lbs. Hanging cord included. 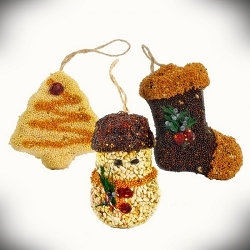 Makes a nice gift! 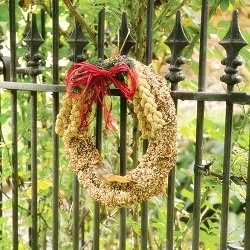 Wreath Dimensions: 7-1/2" x 1-3/4" x 7-1/2" high; Weight 1.25 lbs.